I always have a thing for Japanese food. Mention the word sashimi, and you can literally see me salivating like the Pavlov’s dog (not a pretty sight I know, but you get what I mean). I actually made my husband promised to bring me to eat lots and lots of sashimi when I’m done with this 2nd pregnancy. I can’t stop thinking about it !! Of course, Japanese food is not just sushi and sashimi. Their home cooking dishes like rice and noodle dishes are also my favorite. Take this donburi for an example, I absolutely love donburi. If you are wondering what donburi is, it is basically a plain rice that is served with meat, seafood, and/or vegetables served on top of the rice. I like anything served on top of the rice, it’s just my weakeness I have to admit it. 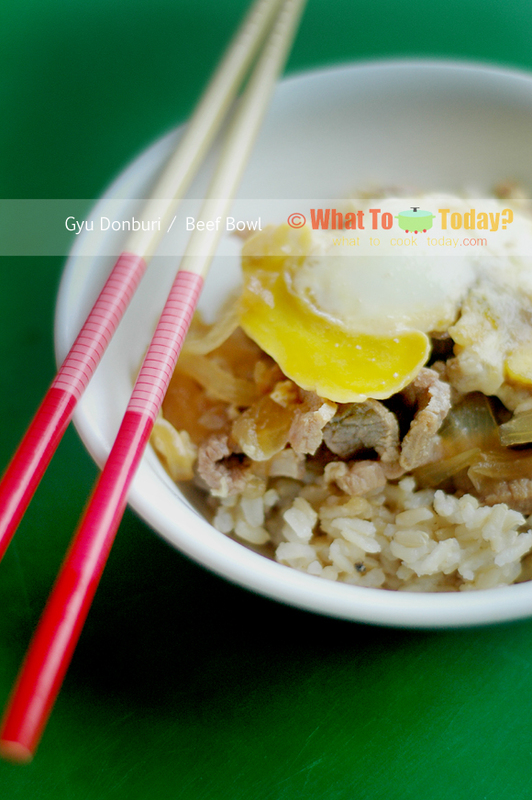 Beef donburi or known as gyu donburi is one of the most common donburis in Japan. In fact, it was the first kind of donburi introduced. You will see some restaurants named it as “beef bowl” and considered it as “fast-food”. 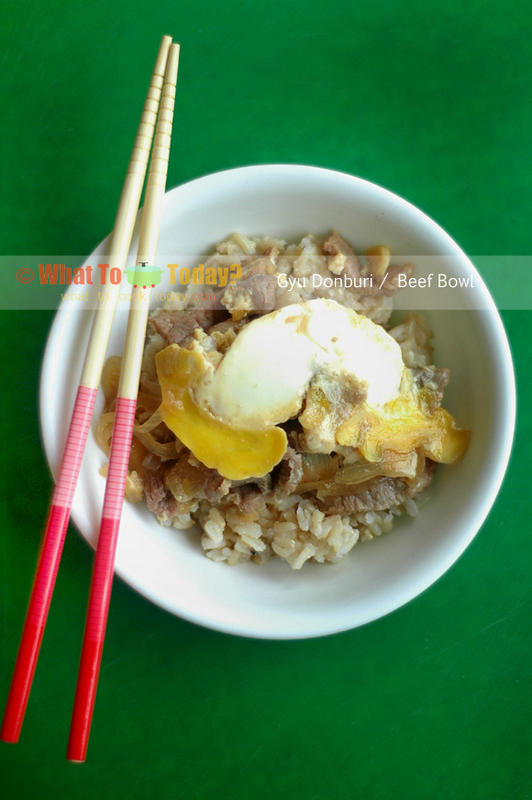 This fast-cooking donburi is not only super easy to make, I can almost guarantee that you will like it (unless you are a super picky eater lol). The beef simmered in dashi stock, soy sauce, onion, and eggs. This is really a type of fast-food I don’t mind at all. Super yummy and lots of flavor without drowning yourself in unhealthy fat. Try it and you will love it. 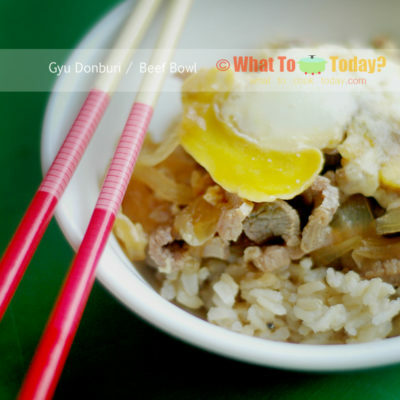 Check out other type of donburi I’ve made and also other Japanese recipes I’ve put up on this site. Happy donburi-ing!